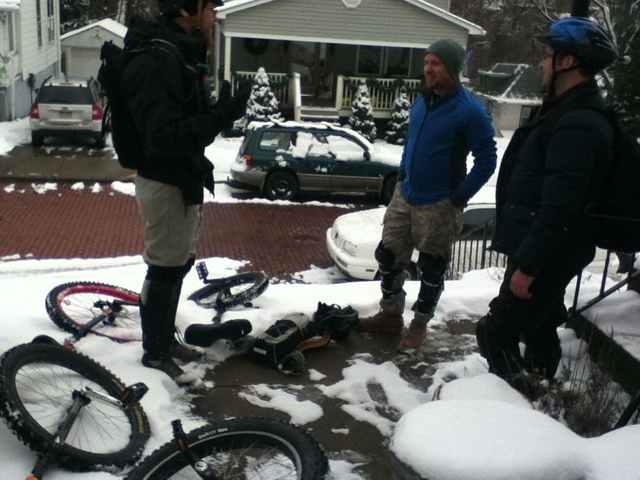 One of the best aspects about the unicycling comm"uni"ty is the willingness to share. The above video is the first in a series from here. The MUni Tutorial series is being made by Jacob Spera and Ryan Kremaster for the betterment of the sport. They've been making MUni videos for some time, but have recently felt the need to make some instructional videos targeted towards beginning MUni riders. This is a fabulous idea. Mountain unicycling is hard- or not. Once you can ride a uni, and almost everyone reading this probably can, you can ride off road. You probably won't want to step up to big drops, rock gardens, steep uphills, or skinny balance lines right away (unless you're fearless Steve with the singing pockets who starts with Moraine and tackles a 36er with short cranks in 10 minutes), but you can ride through the grass in your yard (watch for doggie land mines). If you're doing anything outside of the gym and off the pavement, you're off road. Congratulations! Welcome to the club! There is a problem with riding a bit off road. Most likely, you'll want to ride more. And more. And more. Once again, it's fun and challenging (most likely a couple of the main reasons you learned to ride a uni in the first place). The idea is to ride the line between challenging and frustrating. If it gets too close to the latter, it's not nearly as fun. Having some tips from some experts available in YouTube form to push things back into the challenging realm is awesome. Bicycling has a set of skills, but once you learn to ride, in the grand scheme of things, you've got it. 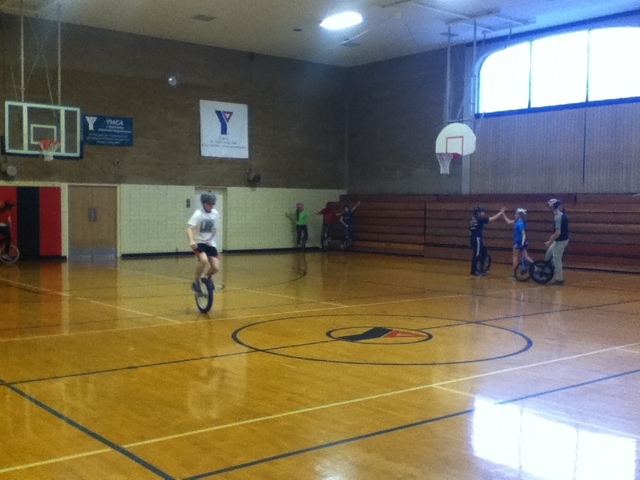 Some people see unicycling as the same way, but most seek to learn something new. Unicycles are pretty simple machines when compared to a bike, but they require more skill to operate. Think of when you first learned to ride. I don't know of how many people have told me, I can ride my bike with no hands so a unicycle should be simple, right? Not so much. By removing the extra balancing wheel and increasing the need to balance the cycle in all directions, not just left or right like a bike, the recruitment of muscles increases significantly. When people learn to unicycle, they sweat a lot. Most of the time we get the comment, "Wow, this is really a workout!" This same need to balance in all directions really increases the difficulty of riding in the woods. The beauty of it though is that unicycling in the woods is arguably safer. Sure, there's the occasional tumble, but the incident of serious injury is very low in comparison. The speeds on a unicycle are quite slow, and when things do go wrong, you just run away. There isn't a set of handlebars to vault over. There isn't a stem aiming for your knees. Most of the risk involved with unicycling beginning to intermediate trails in the woods is mostly perceived risk. Contrary to what many who have never tried riding a unicycle have said, you most likely won't die. There may be some scrapes and bruises and occasionally a twisted ankle, but hitting a tree at 30mph (not out of the question on a dual suspension mountain bike) is most likely out of the question- mainly because you can only go about as fast as you can pedal a direct drive wheel. Learning MUni is addicting. There's always a new challenge to undertake. There aren't a whole lot of resources available on how to ride a unicycle off road. As far as a print version goes, there's an excellent book available by Kris Holm titled The Essential Guide to Mountain and Trials Unicycling. If you want to buy it locally, Pro Bikes in Monroeville has a couple in stock at this time of typing. I've read this book through 2 or 3 times so far and have learned a lot to improve my riding from it. Overall, the book is excellent. The pictures alone are worth the asking price. Buy it. Now there will be a YouTube video series too, made by some younger riders with a similar, but slightly different perspective. This is an exciting time to be riding a unicycle off road. The sport is relatively new (appropriate equipment has only been around since the late 1990's). Being able to draw on others', experiences (and learn from their mistakes) will greatly increase the fun factor involved with MUni. You can always join us for a ride too. We'd love to swap tips and practice MUni skills together. 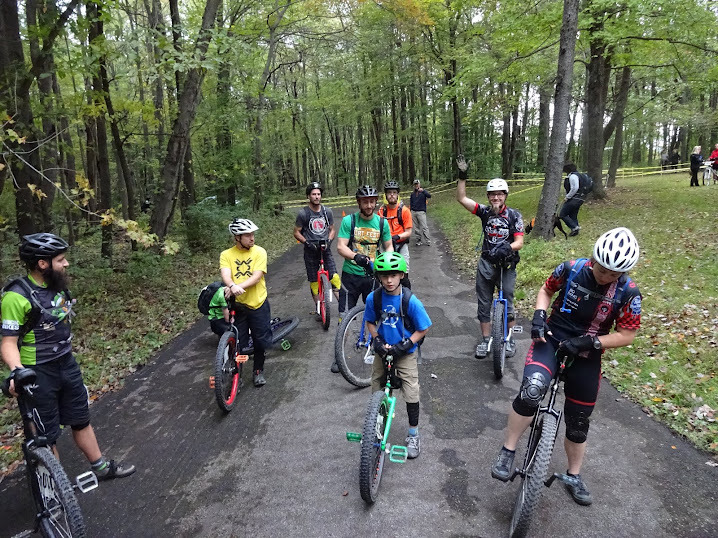 Grab your unicycle, some water, and wear the big 3 (helmet, knee pads, and gloves) and hit the trails with us. After all, MUni is about sharing the fun. If you made the meeting 2 weeks ago, thanks. NAUCC 2013 is as good as it gets. 1. We're in the other gym this Saturday from 4:30-6:30. 2. We're doing the Butler Wobble tech t's soon. You will need to preorder if you want one. Talk to us. Nate's doing the art and it will be awesome. Both long and short sleeve options will be available. 3. We're getting close to opening registration for NAUCC 2013. We'll post when it's live.